"These folks are genuine, courteous, punctual, knowledgeable, professional, and very reasonably priced! I had some issues with my garage door and within 20 minutes, they fixed every concern I had. Definitely one of the best services I have EVER received (ever)! You can't go wrong with them, trust me. If I could give them more than 5 stars, I would!!" Garage Door problems can happen anytime! When they do, we have the fix. If you want the best garage door repair and installation in Richmond, you have found the right company. We are proud to be true garage door geeks and provide our customers with outstanding service and products. Get in touch with our knowledgeable and friendly staff today; we are always ready to serve you. Garage Door Geeks will transform your garage door in Richmond or in the surrounding areas. We are pleased to stop by your home or place of work anytime to provide you with advice and an estimate on your new garage door installation or repair work. If you need emergency garage door repair, we are the company to rely on, because in addition to being total professionals that get the job done right, we don't charge extra for emergency garage door services. 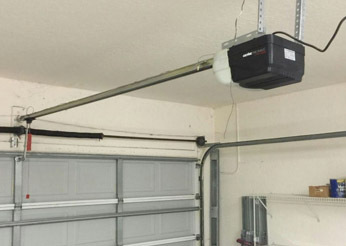 You will find the right garage door opener repair and installation right here at Garage Door Geeks in Richmond, VA. We offer convenient same day garage door repair and never charge extra for emergency service. Call us today and let us take care of you. Perfectly working, gorgeous looking garage doors in Richmond are just a phone call away.